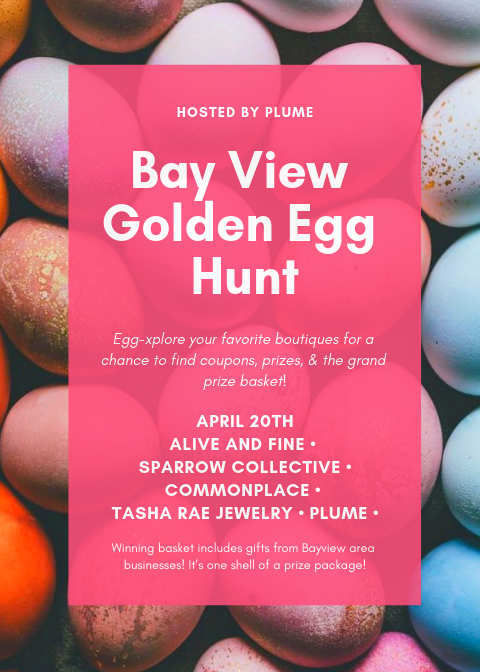 Join us this Saturday April 20th for the first Bay View Golden Egg Hunt! Explore these 5 shops in search of golden eggs containing treats and coupons to the participating boutiques! One lucky shopper will find the grand prize baskets containing gifts from local restaurants and bars! Save the date for this year’s MILWAUKEE DAY on Sunday April 14th! The shop will be open normal hours 11-5 >> Stop in and take advantage of some great deals and show your love for your city! All day long take 14% off your total purchase AND 25% off any items with 414 or Milwaukee on them! We’ve decided to keep normal hours and remain open the duration of the week during this cold snap. 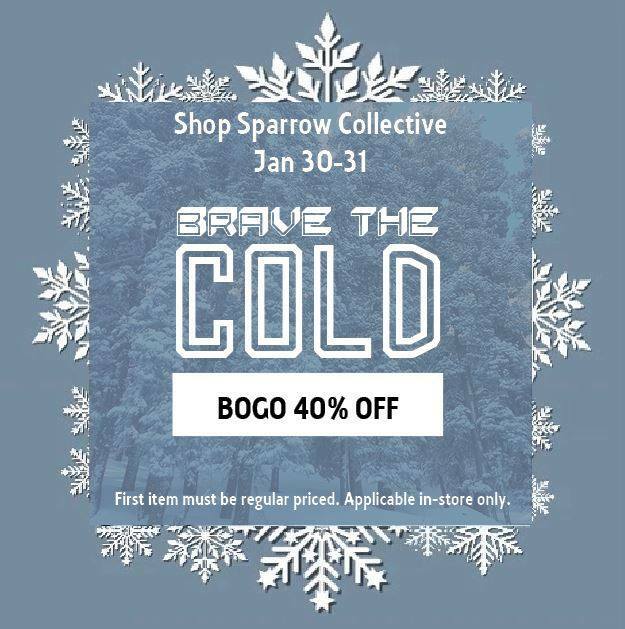 Stop in January 30 + 31 for our Brave the Cold BOGO sale. Buy one regularly priced item and choose a second for 40% off! Stay safe and warm! Thank you so so much to all the people who were able to stop in and support the shop this past weekend for Shop Small Saturday! We blew last year out of the water and year after year it continues to be the best day of the year! It means more than you can know to see the number of people that get out there and support all the amazing shops in our city. As we move into the 2018 Holiday season we will be extending our shopping hours. Extended hours take effect December 1st through the 28th. Follow us on instagram or facebook to stay up to date with all the new arrivals coming in and as always, if you see something listed and need it shipped just shoot us a message!